In the latest installment of “Hard Choices – Which Interview to Grant When,” former Secretary of State Hillary Clinton opened up to PEOPLE magazine on becoming a grandmother and a 2016 run for president. “I know I have a decision to make…But part of what I’ve been thinking about, is everything I’m interested in and everything I enjoy doing – and with the extra added joy of ‘I’m about to become a grandmother,’ I want to live in the moment. At the same time I am concerned about what I see happening in the country and in the world,” says Clinton in the June 16 issue of PEOPLE. And it’s all about firsts in this media blitz for Clinton. 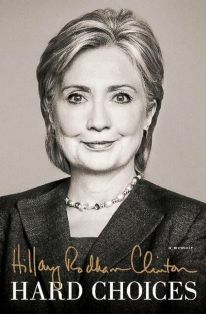 On June 9, she’ll offer her first television interview with Diane Sawyer on her forthcoming book Hard Choices. The following day she’ll sit down with Robin Roberts for her first live interview on the book. June 17 she’s slated to join Bret Baier and Greta Van Susteren for her first joint interview on the Hard Choices of her career. CNN chief international correspondent Christiane Amanpour will moderate the only (aka first) network televised town hall with the former Secretary of State on Tuesday, June 17th at 5 pm ET. Yesterday, CBS was finally able to announce their interview with Clinton, although they missed the mark on any first-related accolades. NBC News’ Cynthia McFadden will interview Clinton on Tuesday, June 10. 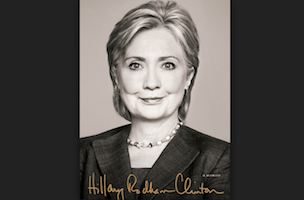 And on Friday, June 13, Politics & Prose will host Clinton in conversation with Lissa Muscatine, co-owner and former Clinton speechwriter and staffer. Tickets sold out yesterday, the same day they were released to the public. For a complete schedule of where and when to turn for your first looks, click on over to TVNewser.